I'm about 80% complete on a CM3 mod, have "dry" fitted it, and wanted to ask some questions about final tweaks. The volume wheel is binding a bit, but I assume shaving down the bottom shell section a bit should take care of that, right? The D-pad is pretty mushy. Buttons are the aftermarket clear green ones. I see others have had trouble and say that adding some cardboard should stiffen things up a bit? Another suggestion was to add plastic? I'd like to not damage the rubber membrane if possible, but I'll do it if I absolutely must. The power switch button (cover? housing? plastic-bit-that-hooks-the-actual-switch?) is more problematical. 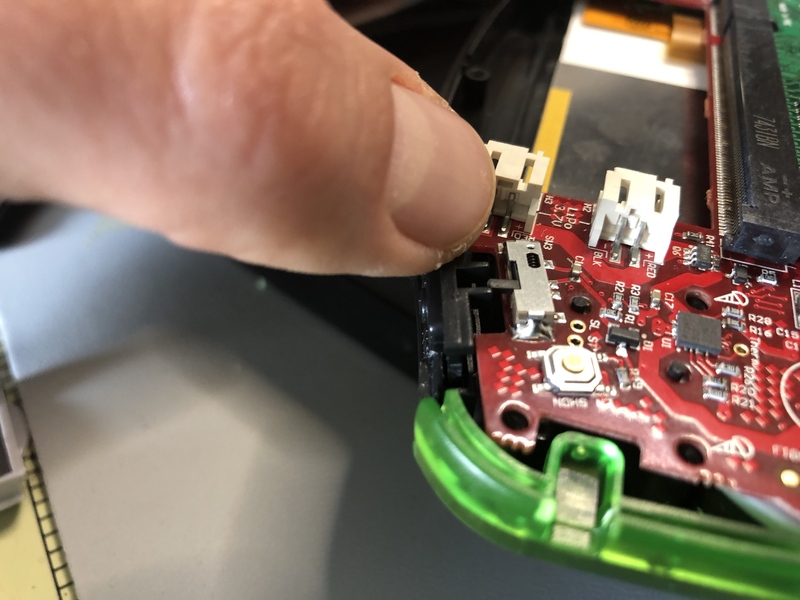 I see that cutting the plastic bump leaves the switch button with a lot of play, letting it rotate underneath the PCB power switch (see pictures). I'm thinking of gluing a small sheet of plastic scrap to the bottom right of the switch button so it doesn't rotate under. I could also CA glue some scrap either on top of the twin prongs of the button or the bottom of the PCB switch itself. <--- held in place it's fine. <--- button is riding underneath the switch and doesn't "grab". The shoulder buttons are binding pretty bad when the top screws are tightened. Is there are read on where the binding is worse? I could shave off some plastic from the shell or the shoulder buttons or both if I knew where to do it so that it seats slightly looser. Last, I'm thinking of finishing the ports with Sugru to make it look a little cleaner, more professional. 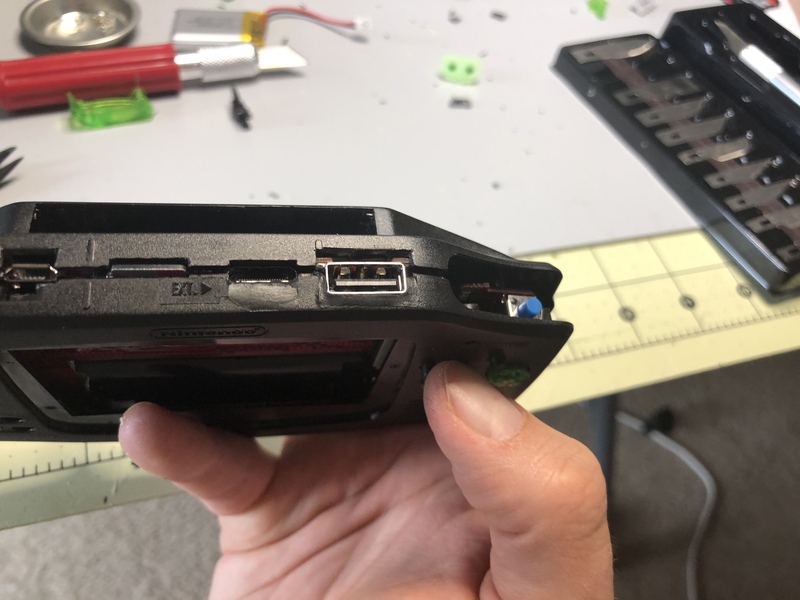 For people practiced with the epoxy rubber, would partially forming the Sugru on a port half and then seating the PCB in place to get the rubber squared up work or will the Sugru inevitably adhere to the USB, HDMI, and MicroUSBj ports? <--- re: the USB port, "mistakes were made". Quick note before start, you shout consider to no attach the TFT screen when you are test fitting. Its ribbon cable is very fragile. 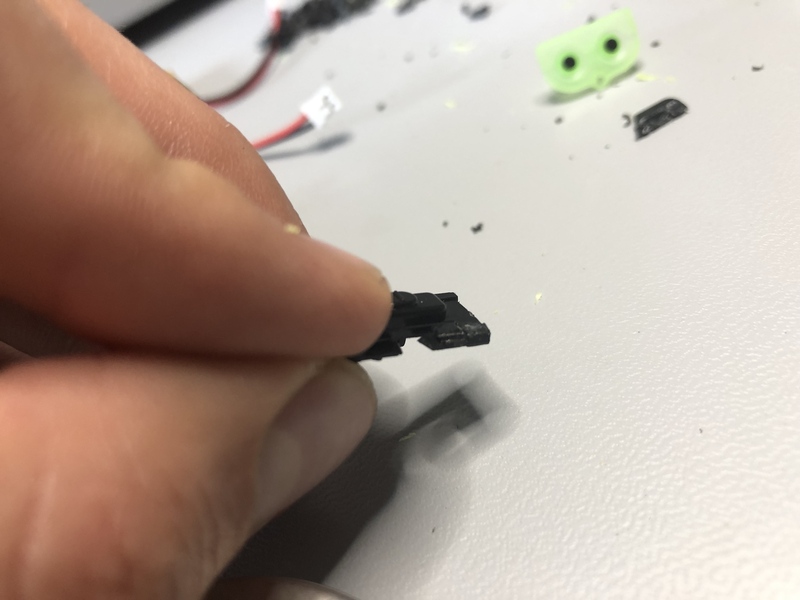 For the volume wheel, I had this problem in some of my builds, on the back shell near the volume wheel, there is the embose where goes the screw, i have remove a little bit of matter on it side to solve the problem. For the Dpad, I think you are talking about Jakejm79 solution's, a simple way to check if it work is to try the modification with the grey Dpad you should have receive with your shell. I have make this modification on all of my builds. 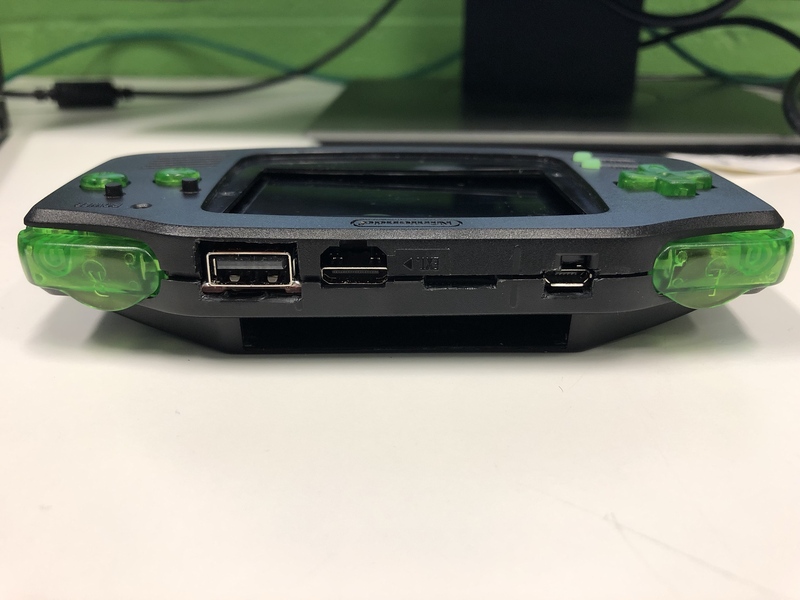 For the shoulder buttons, I have this problem too, the only workaround that is working for me so far is to not tight the middle screws all the way. For the rubber, I have never try this but you could use kapton tape, nothing is really to stick to it. Thanks for responding. Don't worry about the screen. I work with these things at my day job and give them a fair amount of abuse. If it breaks it breaks. Shaved more off the shell and shoulder buttons including rounding off the inner corners of the buttons and the top and bottom hinges. And you're right. I can maybe get the screws marginally tighter without affecting functionality, but I'll call it for now and just use threadlocker fluid. The volume wheel likewise seems to be better after removing material from the bottom and sides. I'm tempted to do more, but maybe will just stop here. It's not absolutely perfect, but it's close. I'll go ahead and sugru the top of the USB port and the bottom of the charging port. I'll also sugru to smooth and further cushion the ground down leftover bumps from the screen section of the top shell. That'll provide a softer resting spot for the display and add some friction. Hard to see but if you look at the indented portion where the nub was cut off, you can see the extra bits sticking out just a little bit. The idea is that it stops the slider from rotating forward and down without binding inside the assembly. It's pretty clear that the nub held the slider in place and removing it makes the whole thing pretty loose. Roger that on the D-pad. If you have any pictures that demonstrate what you did, they would be very welcome. It's a bit hard to picture where exactly the changes need to be made. And on the bright side, the system is fully functional inside the case. Buttons are operational. D-pad, as mentioned, is pretty mushy. The X and Y buttons are a bit awkward, but I haven't yet cut out and installed the grey plastic caps which I'm sure will help. That will be the very last thing I do. For the power switch, do you notice play when shell is closed? Got it re: D-pad. What does lowering the center pivot do for you? I could imagine instead adding rings of material until the relative height is adequate. The switch slider rotates still, but only with the other shell half off. The thing that seems to happen is that the fiddling and seating one does in getting the pcb mated and the shell halves closed often causes to the the slider to wiggle out of position and then fall inward. If you can get the thing assembled and not do that, the slider is reliable as anything. I've done the rest of the Sugru work. The USB port stuck more to the bottom shell than it did the top, unfortunately. That means I couldn't get it to accurately shape the port. With some water and fingernail work, I got it pretty close. I think screwing the device tight will cause the rubber to bulge after it cures, but you do and you learn. Maybe next time I'd shape it to have a bit of a concave recess. Getting the stuff rubbed all over the screen area was difficult. Sugru adheres less readily to shiny bits and sometimes the pliability varies. * I think I've got an even soft surface now for the screen to rest on. We shall see when I do a final test fit. A piece of me wants to remove the hot glue and de-solder the speaker wire. It's one more thing to worry about when seating the board and sometimes the speaker slides out of position and gets pinched. That won't be a problem when I remove the adhesive cover, but it is mildly irritating when trying to get four or five things in the right position. *shiny bits meaning the top shell, not the screen. I have nothing to illustrate that on hand :/. 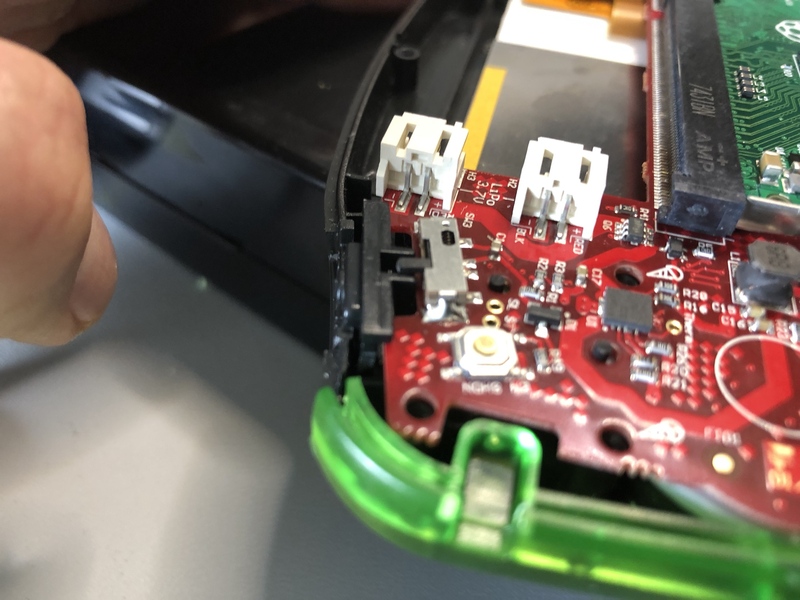 The unmodified Dpad is design to allow pressing of one direction at a time (you can do diagonal move but not with a good "feeling"), when pressing a direction, the "bump" on the other side come in contact with the shell and the center pivot come in contact with the motherboard. The problem with this is the height of aftermarket shell, it is thicker by around 0.5mm (0.02 inch), so when direction is pressed, the top of the silicon pad is shifting (a little) instead of fully pressed. If you cut the whole pivot, you can press all directions at the same it, if you lower it only by 0.04 inch, you are able to make diagonal move easily when sliding your finger. You can soft hot glue using isopropyl alcohol. Oh don't worry about the power switch. I'm satisfied enough with my own modification that I can live with it. If others have trouble, the mods that you linked will work perfectly well. Thanks for the D-pad description. I'll try cutting as you suggest. I may have to use thin cardboard to get that thin, but I do have an oatmeal packet box that should work. I have four sets of plastic controls (two grey, one black, one clear green). I cut the black D-pad back just a hair and agree that the control feel is better. It's still very slightly mushy pressing up, but the other directions are better. I tried to use a small ring of cardboard, but that seems to have made things worse. And I'm afraid I can't say what might be OEM equipment. I got everything from Retro Modding and have since forgotten what might be original.